Pelvic dysfunction is common in pregnancy. The pelvis can become very mobile secondary to hormonal changes and this can have a knock-on effect through the pelvis and into the lumbar spine. The muscles attaching to the bones of the pelvis, the sacrum, the coccyx, the hips and the lumbar spine may become stressed as they try to compensate for the increased mobility and lack of stability. They may tighten up, often developing trigger points and becoming painful. Research has shown that asymmetry between the two sides of the pelvis often with hypermobility on one side and hypomobility on the other side is also one of the major causes of pain. 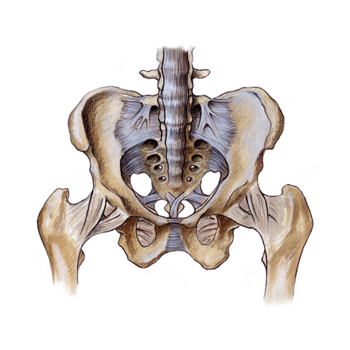 Pelvic dysfunction where the pelvis is poorly aligned. Pubis symphysis separation where there is instability and loss of alignment. Sacral torsion where the sacrum looses its central position or pattern of movement between the two pelvic bones. Lumbosacral dysfunction where the lumbar vertebrae become involved. Uplsips and downslilps where the pelvic bones slip either up or down in relation to the other side. Physiotherapy treatment involves the restoration of correct posture which is vital to maintain optimal balance between the pelvis and spine. Additionally pelvic floor manual therapy and release exercises may help prior to any strengthening program. Manual therapy techniques help realign the pelvis and lumbar spine whilst relearning normal movement patterns and core stability provide the pelvis with the stability that it has lost. 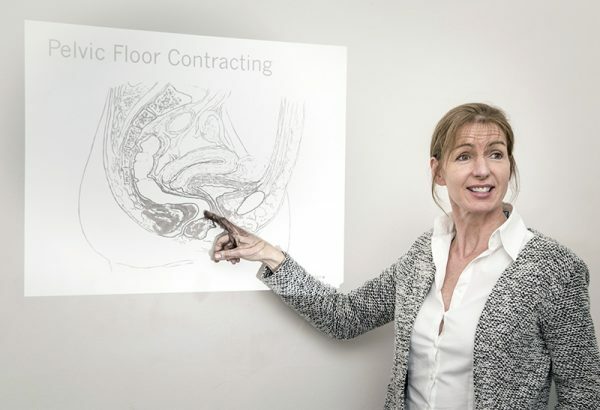 Correct rehabilitation of the pelvic floor is also central to treatment of Pelvic Girdle Pain.